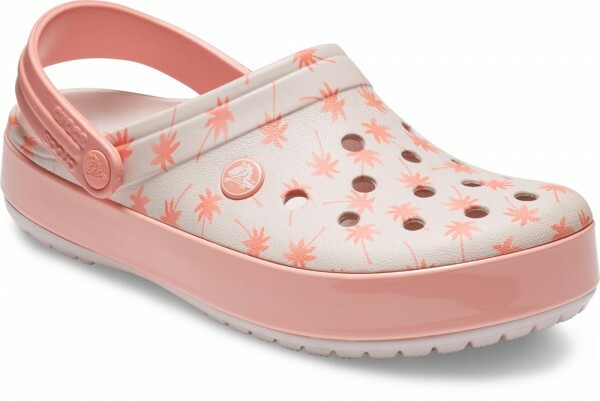 Product information "Crocband Seasonal Graphic Clog Barely Pink / Melon Croslite"
Our incredibly popular Crocband Clog gets a hot style refresh with new graphic motifs and energy-boosting colorways. Perfect for weekends, leisure time and adventures near and far. The Crocband Collection is all about showing your stripes and taking a feet-first vacation any time you choose, and these clogs will keep you in colorful spirits all season long. Related links to "Crocband Seasonal Graphic Clog Barely Pink / Melon Croslite"
Customer evaluation for "Crocband Seasonal Graphic Clog Barely Pink / Melon Croslite"